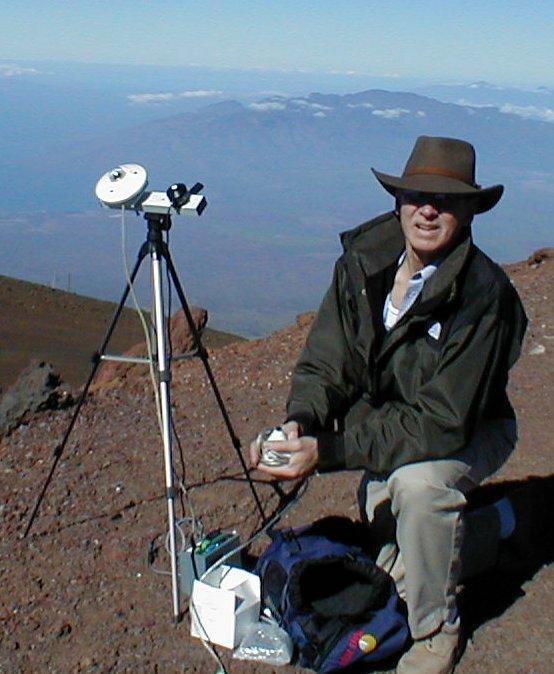 Instrument calibration for a UVB detector is here being checked at 3200 meters elevation on Haleakala, Maui (Hawaii), in January 2001. Born 1943. B.Sc. physics Lafayette College, USA, 1965. M.Sc. physics, Brown University, USA, 1968. Cand. scient. atomic physics, University of Aarhus, 1969. Captain, US Army Medical Service, lasers and optics, Edgewood, Maryland, 1969-1971. Lecturer, mathematics and physics Silkeborg Amtsgymnasium 1971-2011. Ph.D. atmospheric physics, University of Aarhus, 2000. Owner/manager of SolData Instruments 1979-present. The results of Bason's research and development work were integrated when possible into his teaching activities at Silkeborg Amtsgymnasium where he taught physics and mathematics to 16-19 year old students. Bason continues to visit schools - both primary and secondary - to promote interest in engineering and physical science. Frank Bason has worked extensively with the development of instrumentation for measurement of ultraviolet, visible and infrared radiation. He has specialized in monitoring solar energy systems particularly at high latitudes and under difficult climatic conditions. He has been project manager for a range of projects dealing with the development of thermal and photoelectric solar energy systems for the Danish Institute for Building Research (Statens Byggeforskningsinstitut) and for the Danish Department of Energy (Energistyrelsen). A research project was conducted at Thule Air Base, Greenland (76.5 N), in cooperation the Danish Meteorological Institute and the Institute of Physics and Astronomy at Aarhus University was successfully defended as a Ph.D. thesis in March, 2000. He has been active as a member of Ph.D. committees evaluating Ph.D. candidates within the field of solar energy applications and solar irradiance radiation models at Denmark's Technical University (DtU). He has also lectured at summer school for gifted secondary school students at DtU, Risoe, Denmark. 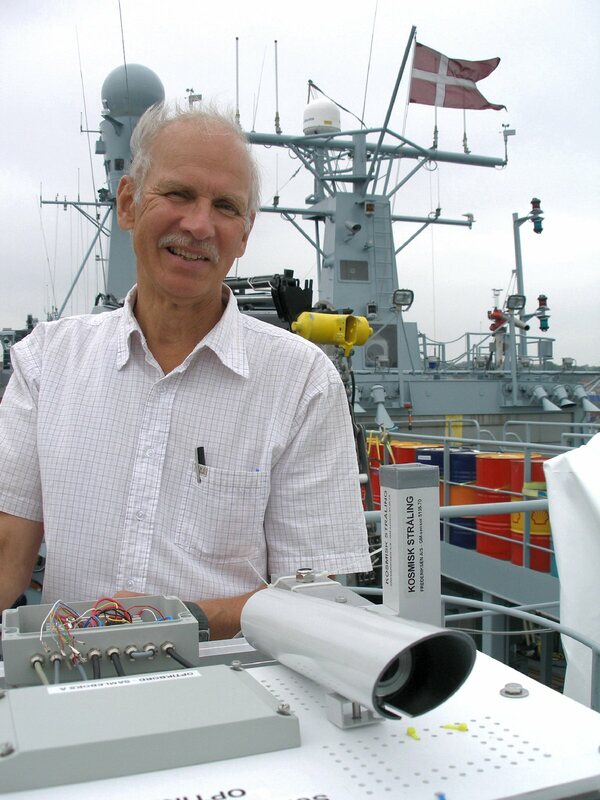 During the Danish Galathea III research expedition (2006-07) Frank Bason was responsible for the design and operation of the Optics Table collecting data from all over the world. See more about this project elsewhere on this home page. SolData Instruments is the official distributor of Apogee Instruments solar radiation instrumentation in Denmark, Greenland and Finland. DtU Fotonik Optics Camp 2017. Contributor to the Optics Camp summer school program at DtU Fotonik - Optics Engineering Laboratory in Risoe, Denmark, July 2017. Master Class Seminar, November 2016, Arranged by ASTRA at DtU Fotonik. Presentation on Light and Color plus laboratory exercises. Sundance Educational Consulting, Albuquerque, New Mexico STEM Conference, Menaul School - Native American seminars on science and technology education - Light and color in the sky, July 2016. DtU Fotonik Optics Camp 2016. Contributor to the Optics Camp summer school program at DtU Fotonik - Optics Engineering Laboratory in Risoe, Denmark, July 2016. EuroSun 2014 Aix les Bains, France. Oral Presentation: Scattering and diffuse solar irradiance in shadow, September 2014. DtU Fotonik Optics Camp 2014. Contributor to the Optics Camp summer school program at DtU Fotonik - Optics Engineering Laboratory in Risoe, Denmark, July 2014. Sundance Educational Consulting, Albuquerque, New Mexico Look Across the Mountain - Native American seminars on science and technology education - Light and color in the sky, October 2013. DtU Fotonik Optics Camp 2013. Contributor to the Optics Camp summer school program at DtU Fotonik - Optics Engineering Laboratory in Risoe, Denmark, July 2013. Dansk Naturvidenskabsfestival. Contributor/Guest lecturer at Danish primary and secondary schools to encourage young people to study science and technology, 1999-2014. Danish Cancer Society, Copenhagen. Member of development team providing educational materials to teachers about ultraviolet radiation and the potential risks to human health - particularly malignant melanoma. Copenhagen, Denmark, 2009-2013. Linke's Turbidity Factor Applied to Worldwide Global Horizontal Irradiance Measurements , EuroSun 2008, Lisbon, Portugal, October 2008. Solar radiation measurements from the Danish Galathea III Expedition , ISES World Solar Congress 2007, Beijing, China, September 2007. Solar Radiation Measurements from Greenland to Antarctica - Optics Table Data from the Danish Galathea III Expedition (2006-2007) , North Sun Conference 2007, Riga, Latvia, May 2007. Diffuse Solar Irradiance and Atmospheric Turbidity , EuroSun 2004 Conference Proceedings, Freiburg, Germany, June 2004. Aerosol optical depth measurements in the UV, visible and near infrared at Thule Air Base, Greenland (76.5 N), during 1999 , Ph.D. dissertation, Institute of Physics and Astronomy, University of Aarhus, March, 2000. 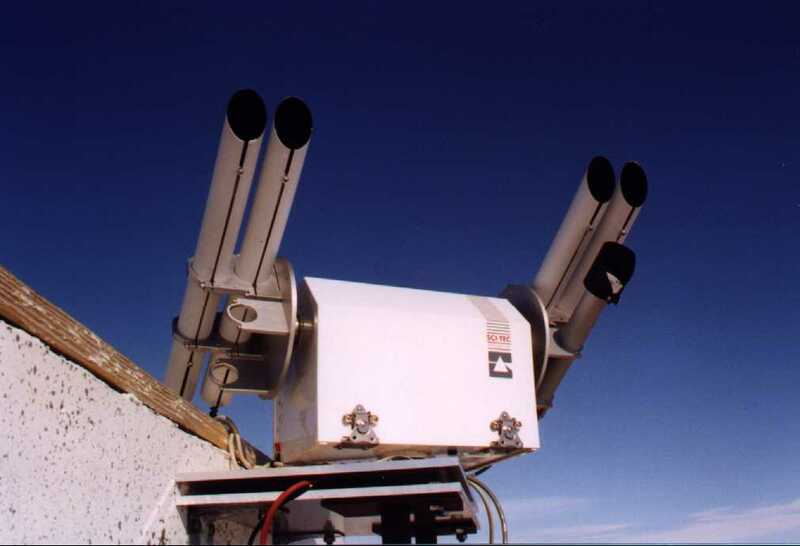 Aerosol optical depth measurements in the UV, visible and near infrared at Thule Air Base, Greenland (76.5 N) , EuroSun 2000 Conference Proceedings, Copenhagen, June 2000. 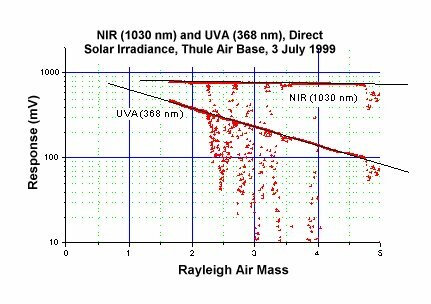 These Langley plots from Thule Air Base clearly illustrate the dramatic difference in the atmospheric scattering of ultraviolet vs. near infrared solar radiation. Photovoltaic Technology in Danish Schools , ISREE 2000 Conference Proceedings, Seventh International Symposium on Renewable Energy Education, 15-18 June 2000, Oslo, Norge. 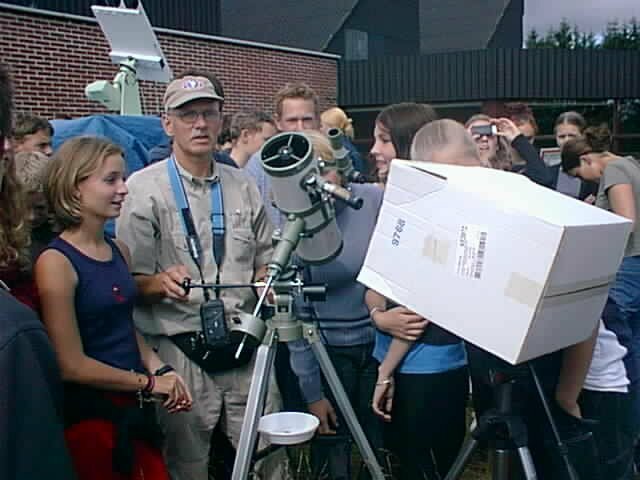 A filter radiometer for the Measurement of Sky Radiance , NORTH SUN '97 - Solar Energy at High Latitudes, Helsinki, Finland, 9-11 June 1997. Measuring the spectral components of solar radiation , SOLAR '95 - ANZSES Conference, Hobart, Tasmania, Australia, 29 Nov. - 1 Dec. 1995. TI-wall performance measurements in Denmark (56 N) , TI5 Transparent Insulation Technology Conference, Freiburg, Tyskland, May 1992. Proceedings published by Franklin Co. Consultants Ltd., Birmingham, England, 1992. Performance Model for Photovoltaic Power Supplies , 9th European Photovoltaic Solar Energy Conference and Exhibition, Freiburg, Germany, 24-28 September 1989. The Computer as a Teaching Aid in Physics: A Case Study in Optics and Wave Theory , Conference on Computers in Education, Raleigh, NC, USA, August 1988.